If only one thing can be said about young JustWilliam, it’s that he wants to get his music out there and he works on it relentlessly every day. He’s determined to entertain so who better to trust with your Friday night? William grew up in the French Alps, was spotted and commissioned by Red Bull and DJMag and has gigged next to big EDM artists like Blasterjaxx & Firebeatz as well as KSHMR & Bob Sinclar to name a few. He is now ready to make a name for himself in London with his house mixes and Zigfrid invites you to be part of his exciting journey. Special guests will join JustWilliam to further spice up the set! 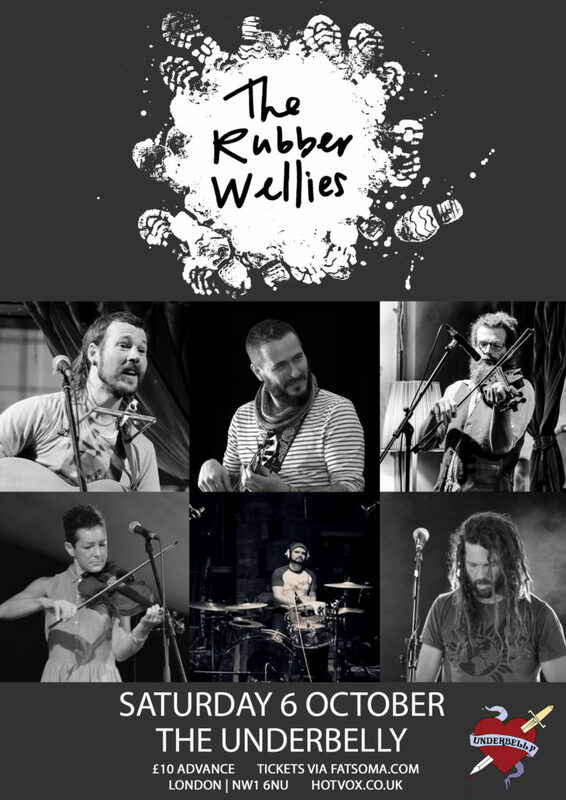 Original, entertaining and thought-provoking, the Rubber Wellies are a travelling folk collective like few others. Based in the Basque Country, Ireland and the UK, they are a touring collective skippered by singer-songwriter Harry Bird, multi-instrumentalist Christophe Capewell and fiddler/vocalist Kitty Theodore. They will be joined on this tour by several other Wellies as they celebrate their decade on the road!